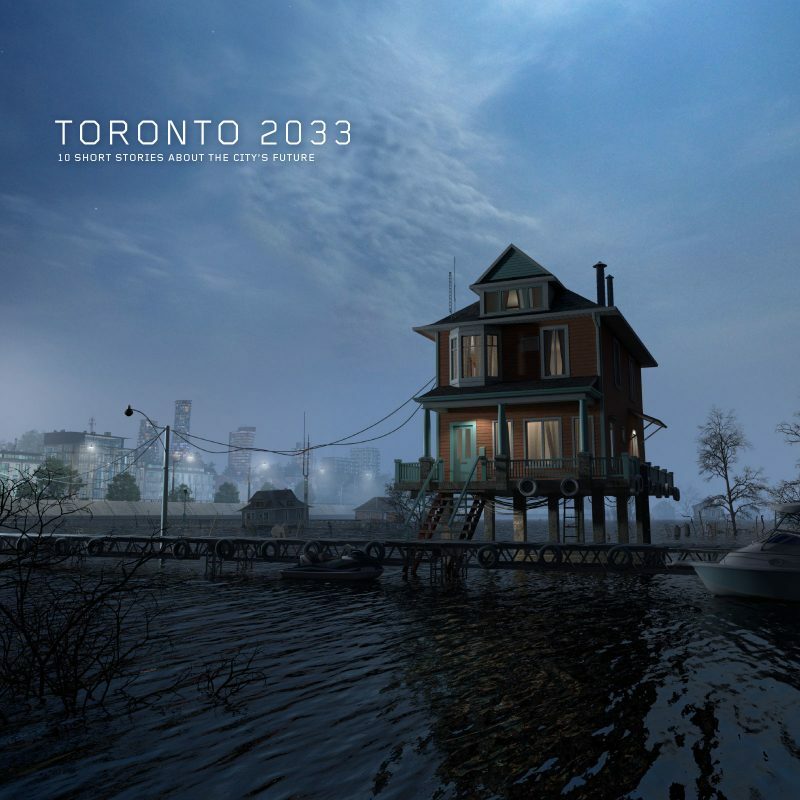 Toronto 2033 is a project by Spacing to help celebrate the magazine’s 15th anniversary by looking 15 years into the future. Through a combination of short stories, podcasts, and films, this group of local sci-fi authors imagine a future of a city grappling with extreme weather and serious public health issues. From suspicious neighbours to gated neighbourhoods, sanitary drones to open-source surveillance, we take you into the daily lives of Toronto residents in 2033. COME TO THE LAUNCH: We’re hosting a party to celebrate the launch of the book at See-Scape (347 Keele St, Toronto) on Thursday, December 6th (7:30pm-midnight). More details on the Facebook event page. 10 local authors speculate how the city and its residents will fare in a world with extreme weather conditions, emerging technologies, and deepening economic stresses.